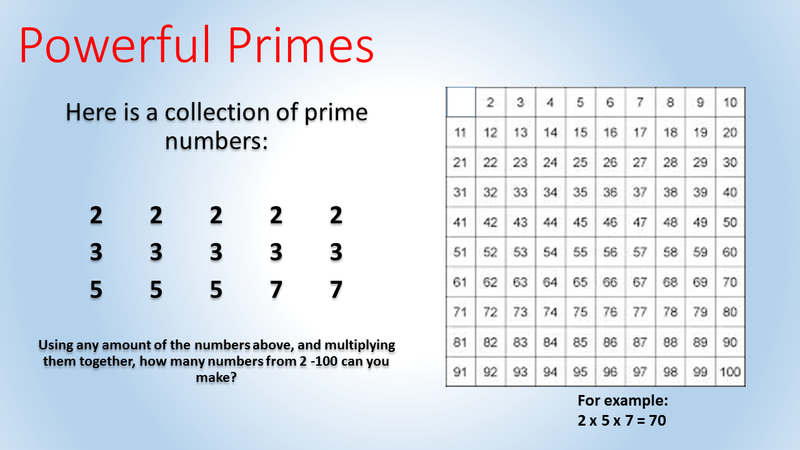 Here are some resources and ideas I use when teaching topics involving Primes and Prime Factors. There are a few ways of spotting prime numbers - including Sieve of Eratosthenes, which I still think is a bit forced. 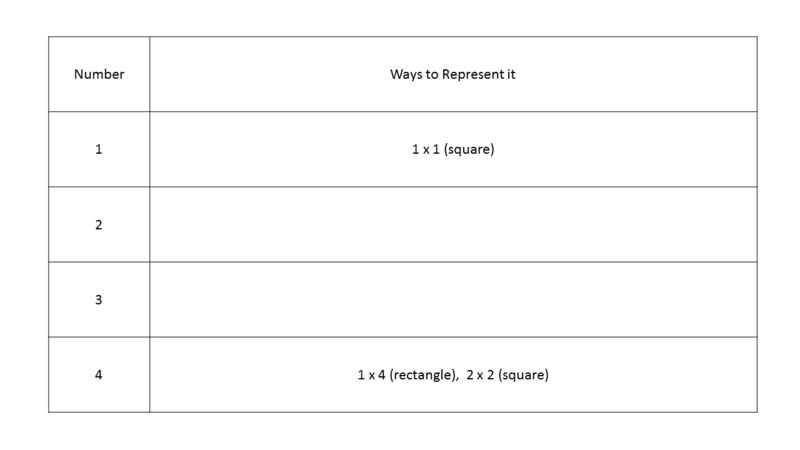 Then this leads to discussions about Factors, Square Numbers and what it takes to be a prime number. 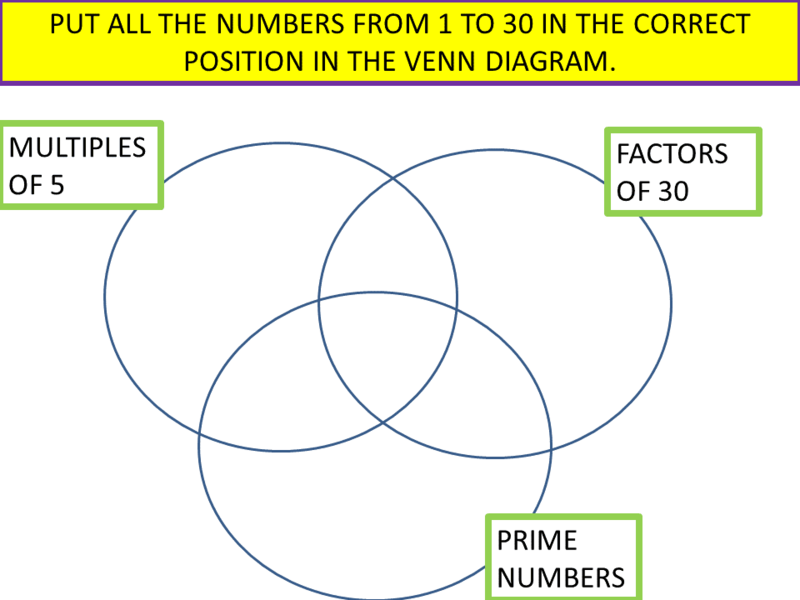 If you want to go onto Prime factorisation, then try it a different way - show how powerful prime numbers can be. 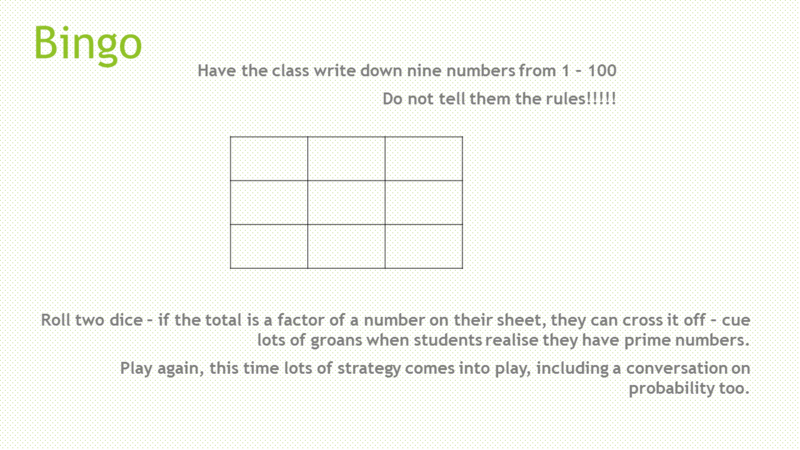 Set a target - make it a game - after a while allow them to choose one more number to add to the list. Ask them why they wanted that number.. Collective Memory - have the students copy the image down from memory and then fill in the numbers when done. I can't believe I have never heard of Shikaku until this week. It is also referred to as rectangles. 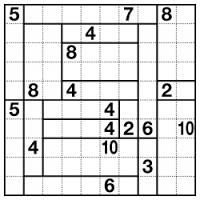 It's so perfect to consolidate factors (i.e. 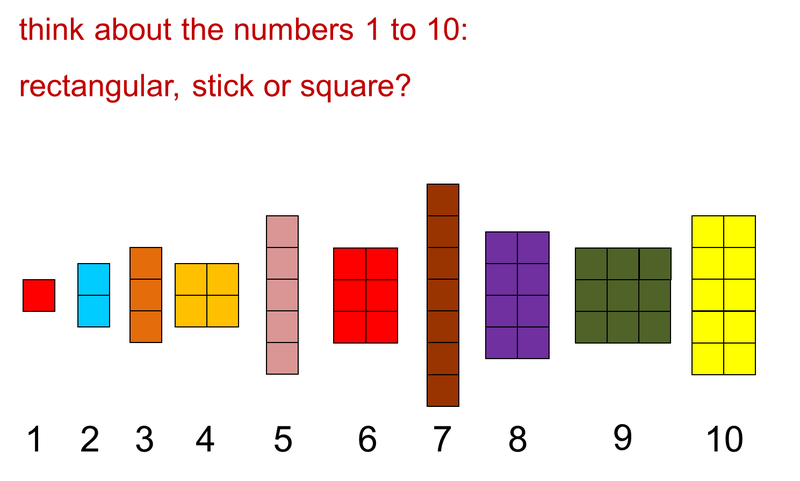 knowing that 10 could be one strip of ten or two strips of five) and also help with Area too. This website allows you to choose loads of different levels of difficulty, meaning differentiation is easy! Also can be done on the website (with timings for extra competition) or printed. There are also a bunch of apps too with the game. Other places to look for resources on this include, as usual, Don Steward's median blog. My last comment is really about selling this topic, particularly primes. There are lots of interesting research and books about prime numbers, and whilst much of it would go over many student's heads, I still think there is value in you discussing that these things are out there. Sound enthused about things you have read, the fact that there are monetary prizes for finding primes, or that internet encryption is based on the idea that no-one has found a quick way to check if a number is a prime number. Thanks - any other good links then let me know!